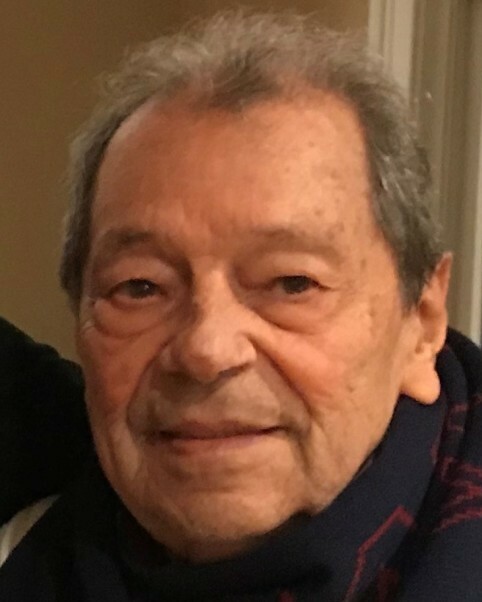 Rafael A. Amaya, 90, of Milford, beloved husband of Blanca (Sanchez) Amaya, passed away peacefully on February 10, 2019. Born on March 13, 1928 in Villanueva, Colombia, he was the son of the late Rafael and Eloisa (Ovalle) Amaya. In addition to his wife, Blanca, Rafael is survived by his children, Rafael (Adriana) Amaya, Jr., Claudia (Jose Luis) Llana, Eloisa (Peter) Mills, Monica (Bob) Koshgarian, and Javier (Kelly) Amaya; his fifteen grandchildren; his six great grandchildren; his three sisters; his many nieces and nephews; and among others, his Godsons who were often present, Leonardo (Ligia) Sanchez, and Luis Augusto Socarras. Rafael was predeceased by his brother. A Mass of Christian Burial will be celebrated on Wednesday, February 13, 2019, at 10:30 a.m. at Saint Mary Church, 70 Gulf St., Milford (MEET DIRECTLY AT CHURCH). Inurnment will follow at Kings Highway Cemetery, 271 Cherry St., Milford. In lieu of flowers, memorial contributions may be made to St. Jude Children’s Research Hospital at www.stjude.org.